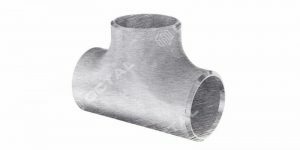 ERW pipe manufacturing process includes HFW. ERW have low, medium, high frequency welding processes, and HFW is specially for high-frequency electric resistance welding. 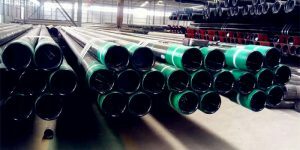 The differences between ERW and HFW steel pipe, is EFW is a type of ERW process for ordinary and thin-wall thickness steel pipes. 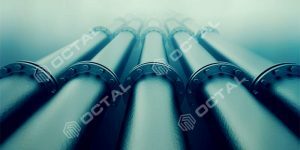 The answer is there are a lot of pipes (standards) could be manufactured by ERW process. 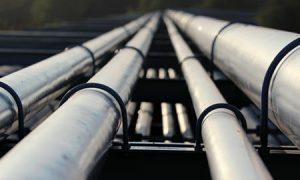 Here below we list for the most common standards in pipelines. 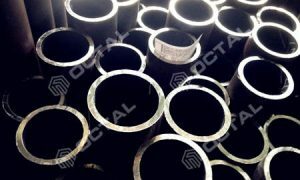 ERW steel pipe used for transporting gas and liquid objects such as oil and gas, could meet the low and high pressure requirement. 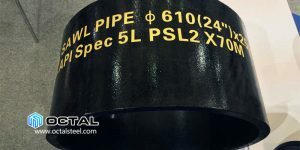 In recent years, with the development of ERW technology, more and more ERW steel pipe used in the oil and gas fields, automobile industry and so on. High efficiency, low cost, material saving, easy automation. 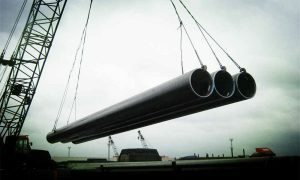 It shall be noted that HFW pipe is a type of ERW pipe. 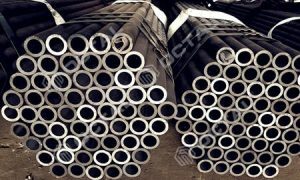 High frequency welding (HFW) steel pipe is that ERW pipe produced with a welding current frequency equal to or greater than 70 kHZ. 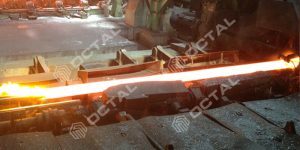 Through high-frequency current welding resistance, the heat generated in the contact objects, so the objected surface are heated to the plastic state, then with or without forging to achieve a combination of steels. HFW is a solid resistance heat energy. The high frequency current pass through the metal conductor, will produce two peculiar effects, skin effect and proximity effect. And HFW process is to use the skin effect to concentrated on steel object surface, use proximity effects to control the position and the power of the high-frequency electric current flow path. 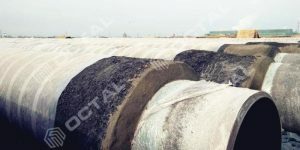 Since the speed is very high, the contacted plate edge could be heated and melted in shore time, then extruded through docking process. and In the welding process, HFW steel pipes do not need to add filling meta. 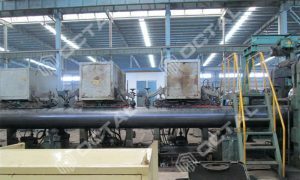 So it has fast welding speed and high efficiency in production. 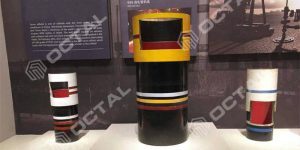 HFW pipe is widely used in the fields of oil and gas transportation, oil well pipeline, building structure and various kinds of mechanical pipe. 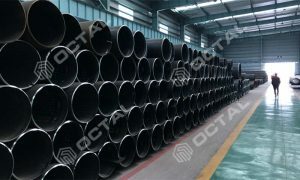 However, HFW steel pipe quality is affected by many factors, such as raw material and process. And the production quality control become difficult. So the yield and welding process still need to be improved continuously. First is to know the differences of the ERW, HFW welding processes. ERW welding process refers the heat generated by the resistance to current flow that pass through the jointed metals. So a large current is needed to electrify the whole surface of the steel plate or coil to the length of welding. In the ERW welding process, the electric current that pass through the entire conductor is at 50/60 Hz. 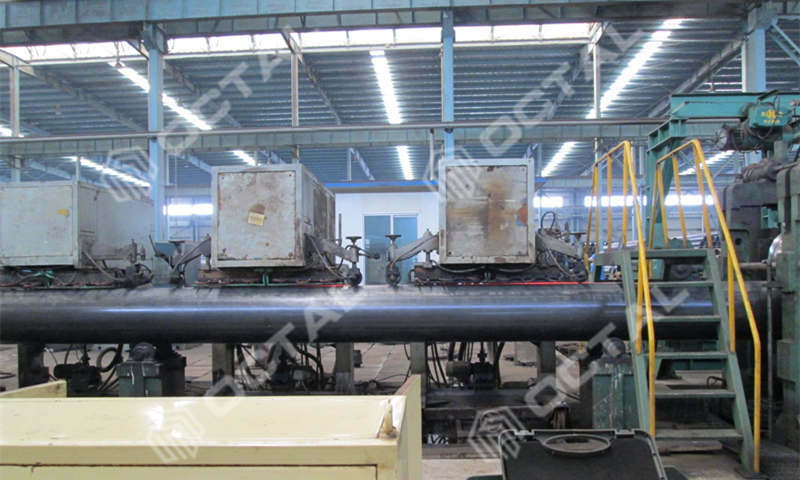 HFW welding process is not the same case with the high-frequency process, since it’s only a section of the steel metals is heated by the induction of electric coil. High-frequency is generated by either AC or DC current. In these cases, the constant current welding generator and constant voltage high-frequency welding generator are used. Constant current welding machine generates power in 100-800 kHz. In the elder processes, the conversion of 60 Hz, AC current to HF was done by using triode and tank circuits. New welding machine uses metal oxide silicon, filed-effect transistors, usually associated with parallel resonant circuit. The constant voltage version generators use insulated gate bipolar transistors designed to power about 2000 kW with frequency rages of 100-600 KHz. While the 60 Hz line frequency current flow through the whole conductor but HF current flow only on the surface of the conductor, so it is “skin effect”. While two conductors carrying HF current are placed close to one another an the current concentrates on the two adjacent surfaces of the conductors, it is “proximity effect”. HFW current distribution: The current flows in the surface of the metal or the conductor. Both conductors are placed in close proximity with most of the HF current flowing on the adjacent sides of the conductors. 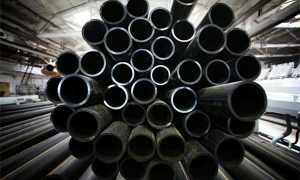 ERW is general designation of resistance welded steel pipes. It can be sorted into two types: alternated current welding (AC) and direct current welding (DC). According to different frequency, AC welding can be divided into low frequency welding, intermediate frequency welding, ultra frequency welding and high frequency welding. 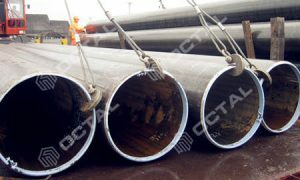 The high frequency welding (HFW) is mainly used in ordinary or thin wall steel pipe. It includes contact welding and induction welding. 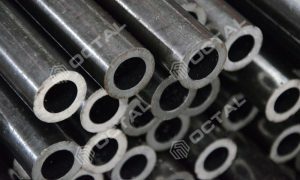 Direct current welding is generally used for small caliber steel tubes. In general, HFW is one of ERW production methods, it adopts the high frequency welding process. 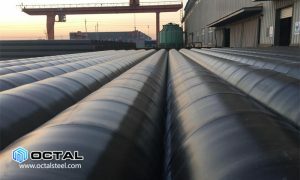 So, ERW steel pipe includes HFW steel pipe.